Alan Hiron was the Bridge correspondent of The Independent from its inception in 1986 and of The Independent on Sunday from its launch four years later. He was born in 1933, in Enfield, Middlesex, the son of a refrigeration expert (by repute the first man to skate on an ice rink in South Africa). He was educated at Latymer, Edmonton, and won the London Schools Chess Championship in 1949. In his first year at University College London, where he won a scholarship to read Mathematics, he represented London University at chess - and also at bridge, a new­found interest. He concen­trated on bridge and his work and graduated with a First in Pure Mathematics, and a grow­ing reputation in bridge circles. After lecturing in maths at University College, in 1959 he joined Shell in their fledgling computer department (with a massive thermionic valve com­puter, static water tanks and a team of engineers on site). The same year he married the European Championship win­ner Marjorie Van Rees. Hiron then joined the Paper, Printing and Packaging Industries Research Assoc­iation, but his increasing involvement as a bridge player, lecturer, trainer and writer led him to abandon the world of mathematics and concentrate full-time on bridge. For 29 years he lectured at the London School of Bridge, where he was affectionately known as ‘The Headmaster’. The Charity Challenge Cup was an annual world-wide bridge event organised by Jill Gatti. For some 30 years Hiron edited the book of hands, and assisted in scoring the event - a mammoth task. In 1967, partnering Irving Rose, he played on the British team in the European Championships in Dublin; the team won the Bronze Medal. He also represented England in Camrose matches and was at various times non-playing cap­tain, trainer, coach and selector for British teams. Hiron had won most of the British and English major events, but perhaps his most dramatic was in 1964 when he won the British Premier team event, the Gold Cup, and in the final session turned a substan­tial deficit into the narrowest of wins by one point. His regular partner in those days, and his Gold Cup part­ner, was Albert Dormer, who shortly afterwards went to the United States. They did not play together again until 1990, when they discovered they would both be in Geneva to cover the World Bridge Championships. They teamed up to play in the first ever World Senior Pairs Champion­ship and won handsomely, bringing the Gold Medal to Great Britain. Hiron captained the British Junior team in the inaugural Junior European Champion­ships held in Prague in 1968. His hired Skoda motor car set an unofficial world record of returning to the hotel with 16 people on board. They were stopped by the police, but there was a happy ending when the present bridge correspondent of The Times, Robert Sheehan, produced his Bridge Master Points card in place of a dri­ving licence. An unsure police officer in charge allowed them to re-assemble and proceed back to their destination, so establishing the principle that Master Points served a useful purpose. In 1983 Alan Hiron married Maureen Berman, who also represented Great Britain and England at bridge, and in 1993 they played bridge together in the European Union Senior Pairs in Portugal, winning the Bronze Medal. 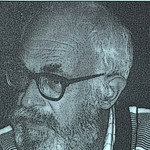 Hiron was the editor of Bridge Magazine, the world’s oldest extant bridge publica­tion, from 1985 to 1990. He also wrote a number of bridge books, the last two, Beginning Bridge (1989) and Easy Guide to Bridge (1994), in collaboration with Maureen. The Hirons also co-wrote a range of quiz books, notably the best-selling The Ultimate Trivia Quiz Game Book (1984), which contains over 10,000 questions. They were also joint question consultants and adju­dicators of the popular Channel 4 quiz show Fifteen To One, first screened in 1988. In 1982 they formed Hiron Games, to market and manu­facture the game Continuo, also a best-seller. A string of other games followed, Alan’s primary role being to test and refine the ideas originating from Maureen. In 1984 they were the subject of a BBC TV documentary, A Will to Win. In the early 1990s the Hirons made the south of Spain their base to continue their bridge and games activities, benefiting from the better climate. It was there that Alan died, after a long fight against the muscle ­paralysing Guillaine-Barre syn­drome, in Malaga. Alan Hiron was kind, princi­pled and gentle. He enjoyed a party and his catch cry “Did you say redders?” invariably signalled that the beer had run out and other delights were to be sampled.